Fancy welcoming New Year with a new sweet treat or rather something traditional? Love chocolate and coconut? We certainly do. So here’s one of our favorite low carb dessert we can’t imagine our New Year’s Eve without. Chocolate coconut cubes are kind of traditional in some part of Europe. 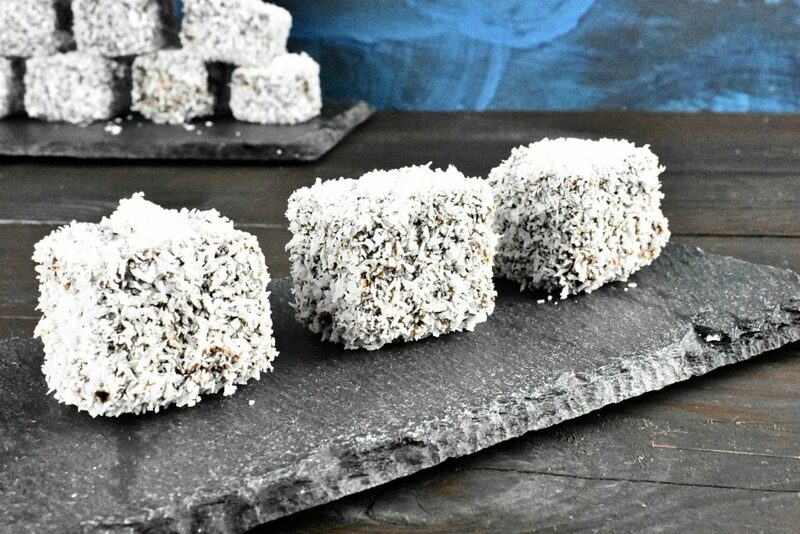 In Australia they are called Lamingtons and served in the festive season. But we are quite sure it could be a completely new thing for a lot of cake lovers especially this sugar free recipe. As it is with most of our low carb cake recipes it’s even suitable dessert for diabetics given it’s non existent sugar content. 1. Beat eggs, butter and swetener until pale. 2. Add alternately the cinnamon, flour, baking powder mixture and the milk. Mix them until smooth. 3. 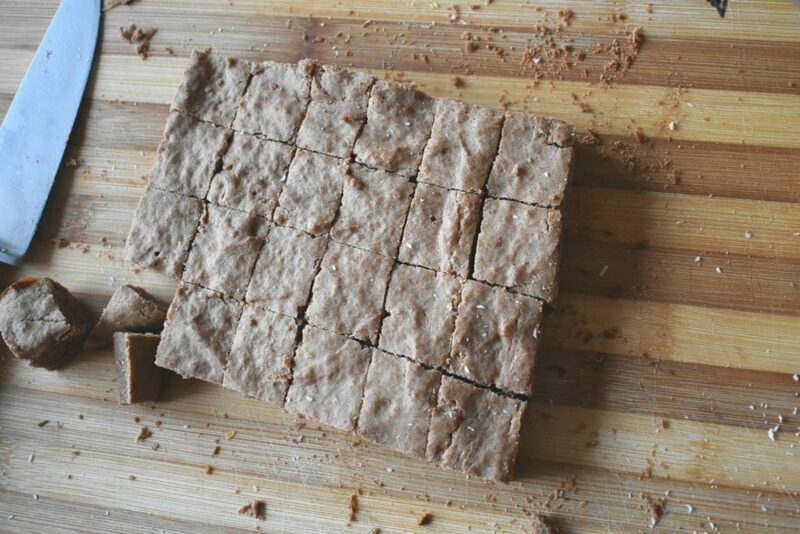 Pour the pastry into a small 8″ x 10″ / 20cm x 25cm baking tray. Put it in the preheated oven at 350ºF / 180ºC for half an hour. 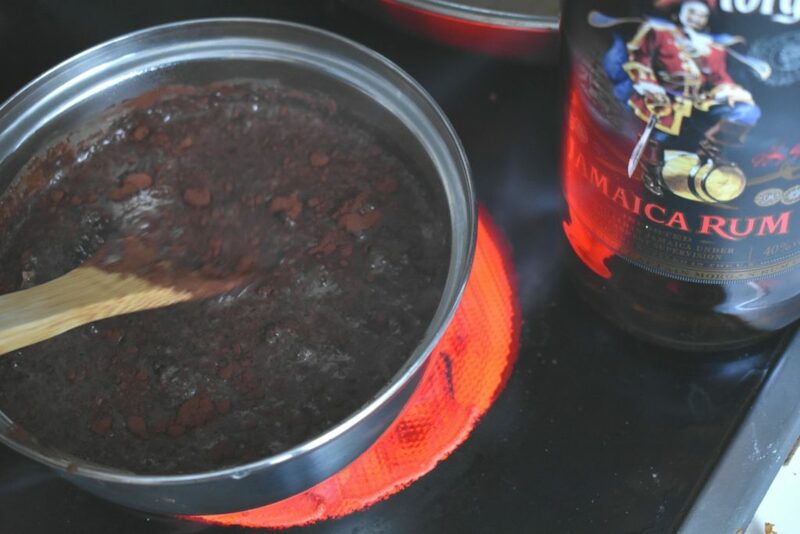 Melt butter, cocoa powder, agave, milk and rum or rum aroma in a saucepan until cocoa powder is completely dissolved. 5. When cake is baked take the tray out of the oven and leave the cake cool down a bit. Then cut it into cube shapes. 6. 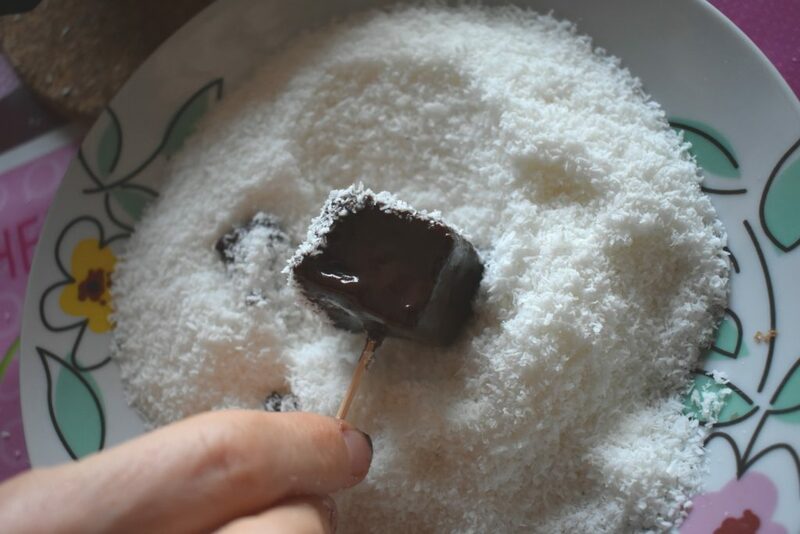 Use tooth picks to dip the cubes into the chocolate and roll them quickly into the coconut to coat them evenly. 7. Leave them on a cooling tray to dry or put them in the fridge to cool down and dry faster if time is short. 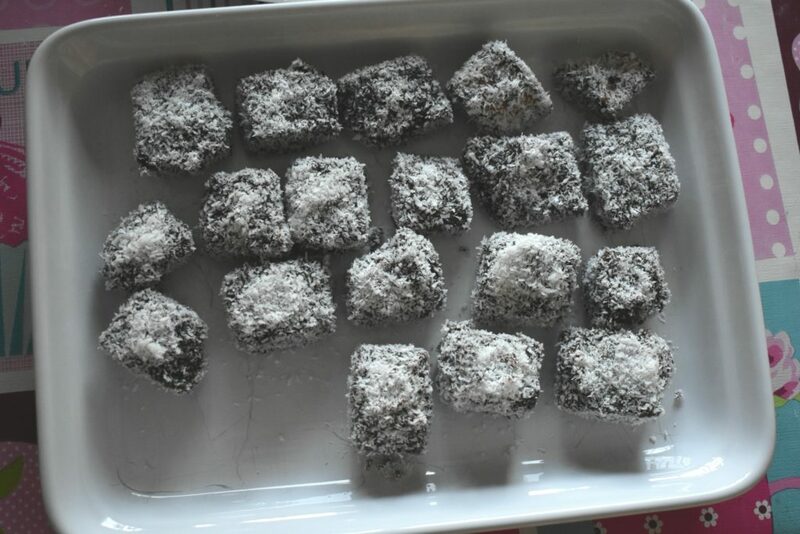 Surprise the New Year’s Eve guests with these delicious coconut cubes, look how fast they disappear from the plate. 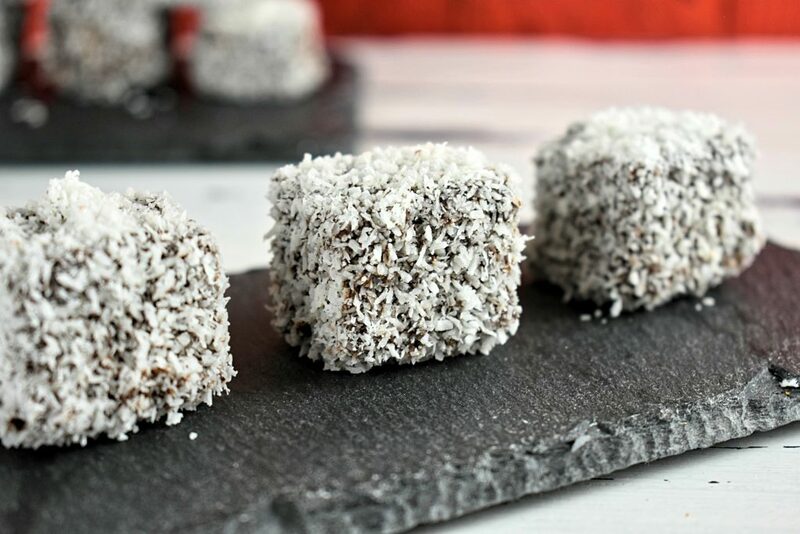 These coconut cubes are begging to anyone who is fond of coconut and chocolate to have them! We don't have to be an Aussie to love life! Beat eggs, butter and swetener until pale. Add alternately the cinnamon, flour, baking powder mixture and the milk. Mix them until smooth. 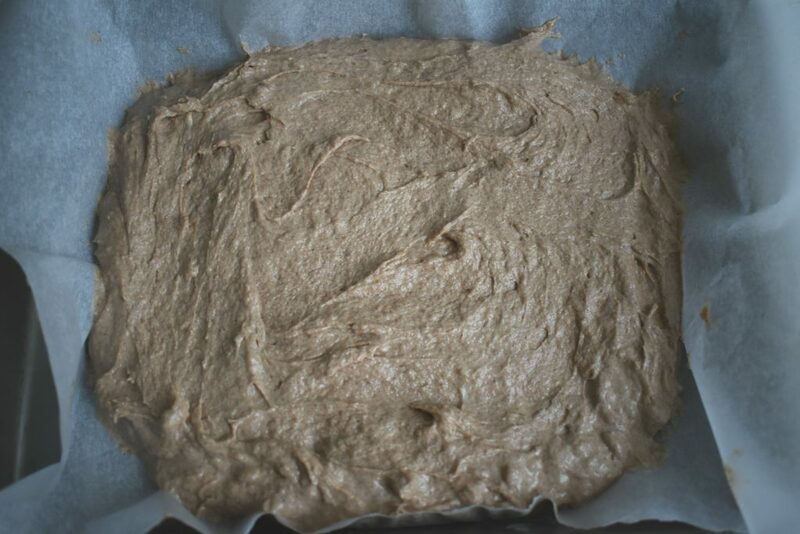 Pour the pastry into a small 8″ x 10″ / 20cm x 25cm baking tray. Put it in the preheated oven at 350ºF / 180ºC for half an hour. When cake is baked take the tray out of the oven and leave the cake cool down a bit. Then cut it into cube shapes. 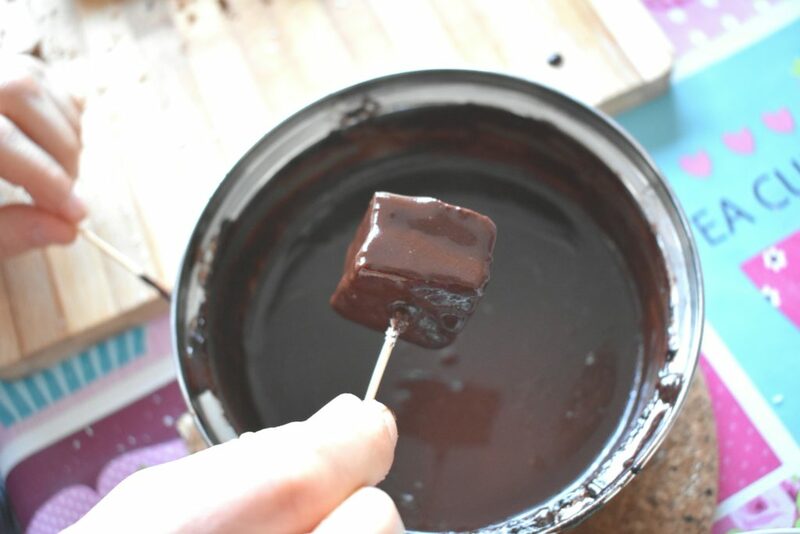 Use tooth picks to dip the cubes into the chocolate and roll them quickly into the coconut to coat them evenly. Leave them on a cooling tray to dry or put them in the fridge to cool down and dry faster if we can’t wait to try. Dear Dean, I’m happy to see that you like the blog. I would be delighted if you quoted whatever you like from the site. But please, link back to the page. Thank you! These ones just made my day! Really loved them without sugar too!